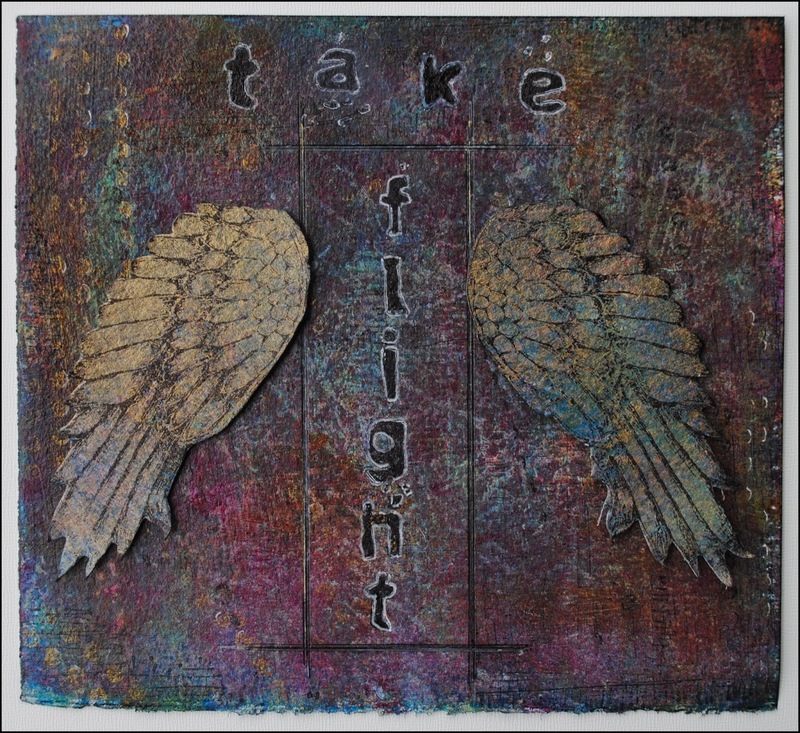 This week it’s Seth Apter’s turn to use my new stamps and boy did he create a cool piece of art with them! I have to admit I wasn’t surprised that he chose the Column of Dots and Sketched Background stamps but when he used the I Will Soar wings, I was! But look how he made these images his own in this piece. So much a ‘Seth’ piece of art, I just love it! « What Would Frida Do?